Ex-man of Indian secret agencies this police officer is shedding crocodile tears on the wide prevalence of drugs in Punjab. He claims he knows 10 names of such politicians and police officers who are giving protection to the drug dealers. On several occasions now for the last 2 years he has being claiming that he would reveal names of such leaders and officers. We call him dramatist because he publicly claims that he is ready to go to jail for the noble cause of freedom of Punjab youth. But if he is ready for this sacrifice why he not revealing names, why he is so scared of jail for violation of secrecy act? 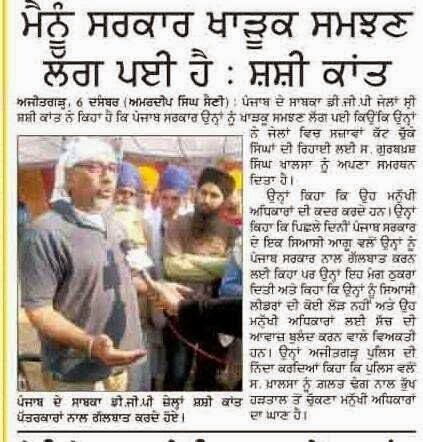 The fact is he is a dramatist and has no sympathy for Punjab youth. We are surprised how media is thrilled over the statements of this dramatist. This ex-cop is also hiding the state or area to which he originally belongs to. In Punjabi parlance there is a beautiful word for such people: FUKRA the hypocrite. 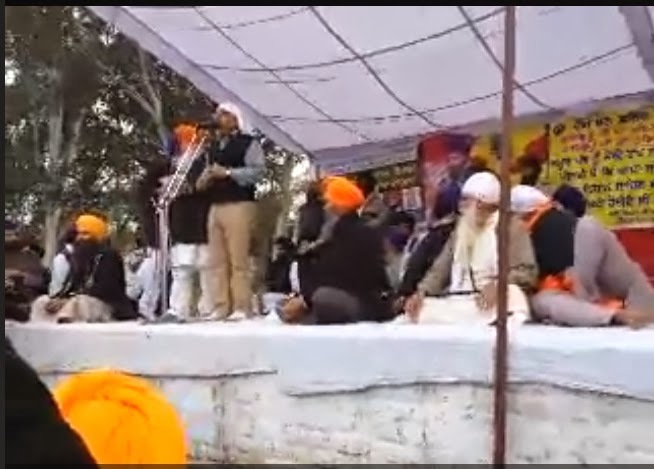 Shashi speaking on the occasion of Bhai Gurbaksh Singh s fast. Claims he is ready to go to jail. Ha ha! Himself wants to be invited to Aam Admi party. 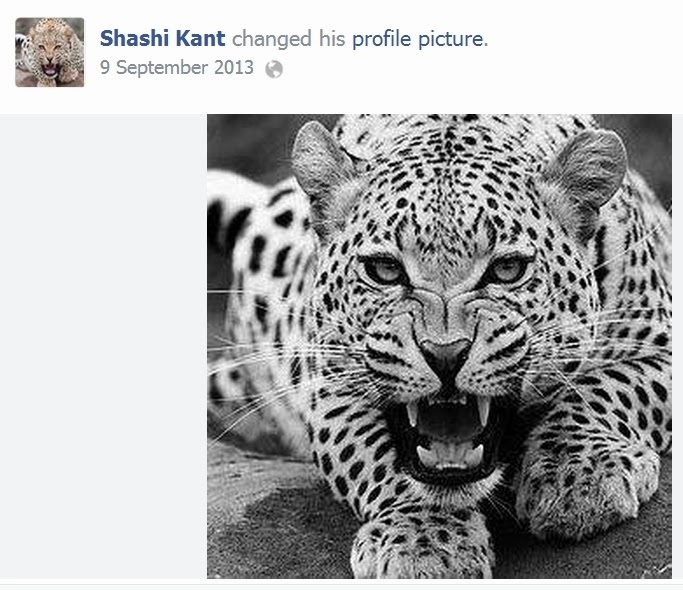 HERE SHASHI'S PROFILE COPIED FROM HIS BLOG. Shashi has deliberately avoided revealing his home place.We did ask him to reveal his home area but he maintained silence. Looking after law & order/crime in Patiala, Punjab. Also worked as A.D.C. to then H.E. the Governor of Punjab for a while. Looked after the security matters concerning the state of Punjab at the height of terrorism, also deputed to the P.M.O. for some sensitive operational work, details of which can not be given because of security reasons. Posted at Bhopal, did exemplary work in various fields concerning the security and stability of the state and country. Alao worked for the P.M.O. and operatioan work. Details can not be given because of security reasons. Assistant Director, Intelligence Bureau, Ministry of Home Affairs. Govt. of India, posted at Chandigarh, looking after the security matters and operations concerning states of Punjab and Haryana. As A.D. SIB, Chandigarh I was involved in anti-terrorist work in Punjab by way both of collecting intelligence and executing operation plans. Details can not be given because of security reasons. Looking after the security of Indian Missions abroad and of Indian VVIPs visiting abroad. Successfully helped in drawing and implementing the evacuation plans of Indians stranded in Kuwait and neighboring countries during the Gulf War. Deputy Director, Intelligence Bureau Ministry of Home Affairs, Govt. of India Posted at Chandigarh. Looking after the security matters concerning state of Haryana. Looked after the security matters, from the national perspective, of the state of Haryana. Deputy Inspector General of Police, Intelligence, Punjab. Responsible for Collection & Dissemination of Intelligence, maintenance of law & order in Punjab. Collecting and collating intelligence having a direct bearing on the law & order situation in the state as also the anti terrorist front. Successfully conduction various operations on anti terrorist side as well. Deputy Inspector General of Police, Ludhiana Range, Ludhiana. A field assignment covering all aspects of maintaining law & order in the Ludhiana range consisting of the districts of Ludhiana, Mohali, Jagraon, Khanna and Ropar. Achieved considerable success in anti terrorist and anti smuggling operations. Controlled corruption as well. Entrusted with the task of investigation and prosecution in the court of H'ble Lokpal, Punjab, of cases of misdemeanor by the public servants etc. Inspector General of Police, Provisioning, Punjab. Maintenance and upkeep of the organizational structure of the Punjab Police. Looking after the budgeting and procurement side of the Punjab police. Successfully introduced modern and latest weaponry as also the modernaisation plans for the punjab police. it was the statring point of modernisatin of the force in Punjab. Inspector General of Police, Intelligence, Punjab. Responsible for Collection & Dissemination of Intelligence, maintenance law & order in the state. Collecting and collating intelligence having a direct bearing on the law & order situation in the state as also the anti terrorist front. Successfully conducted various operations on anti terrorist side as well., besides supervising anti smuggling operations through the counter intellligence and counter intelligence branch. Inspector General of Police, Zone-1, Punjab, Patiala. 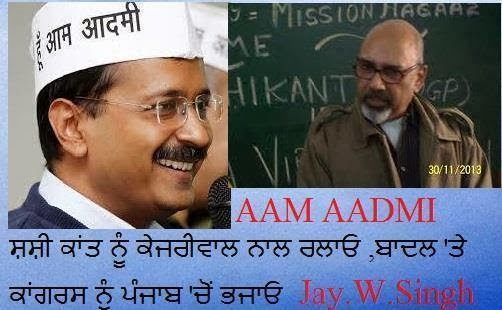 Responsible for maintenance law & order/crime in the Patiala Zone, in Punjab. A field assignment covering all aspects of maintaining law & order in Patiala Zone consisting of districts of Patiala, Sangrur, Barnala, Fatehgarh Sahib, Mohali, Ferozepur, Mukatsar, Faridkot and some other districts. Achieved considerable success in anti terrorist, anti corrruption and anti smuggling operations. Addl. Director General of Police, Operation, Punjab. Incharge of Elections and Law & order related operations in the State of Punjab. Ensuring smooth conduct of ongoing operations in Punjab in close co-operation with various Central and Army agencies/outfist. Ensured smooth conduct of the Lok Sabha Elections in the State of Punjab in close co-operation with the Election Commission of India. Addl. Director General of Police, Security Punjab. Incharge of the Security of State of Punjab. Managing and successfully ensuring the security of all vital installations and VIPs of the State besides other over all security issues concerning the State. Also became controversial when in accordance with the directions of the h'ble courts, got removed red lights atop all official vehicles and banned use of dark films on the window panes of vehicels, whether govt or private. Addl. Director General of Police. Revamped the intelligence set up of Punjab Police to meet new challenges both on various home and terrorist fronts. Successfully contained the massive possible repercussions of the Dera Sacha Sauda and other sectarian volatile issues. Also contained the terrorist and pro-terrorist activities successfully besides further activating the anti narcotics wing of the punjab poloce. There were commendable successes on this front. Law & order, Punjab Chandigarh. Ensuring law & order in the State of Punjab which had witnessed a surge of communal and sectarian violence almost all over the State. Neutralizing the terrorist and pro-terrorist elements which had been making endeavor to indulge in violence. Checking in house corruption in police and ensuring that the Human Rights and dignity of the population was not infringed upon. Ensuring Human Rights and dignity ensures minimized deviant human behavior. Conducting enquiries for various Human Rights commissions at National and State levels. Punjab Home Guards and Director Civil Defense, Punjab, Chandigarh. Management of the Home Guard Bns. and Civil Defense set up all over the State of Punjab. Formulation and implementation of strategic schemes including disaster managements. Morale of the force. Deployment of the force for law & orders duties and training thereof. Successfully persued the case regarding higher scales for the home guard jawans, though the final govt orders were issued after my posting out of the deoartment. 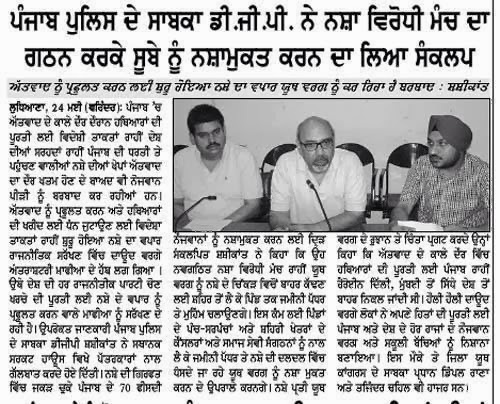 Punjab Armed Bns., Jalandhar Cantt. Composite management of Armed Bns. Including Bullet proofing and fabricating units, Bomb disposal and Allied Teams. Training and deployment for law & order duties. Induction of latest weaponries and tactical strategies. Upkeeping the morale of the force. Regulated system regarding the "private funds" and held record number of sports; state, national and even international events since the P.A.P. head quarters is also the hub of sports activities for the punjab police. Also succefully implemented a record number of welare activities including improving medical fecilities and getting sanctioned a 30 bedded state of art hospital for the campus. P.A.P. campus roads were recarpetted and new street lighting system installed. New vocational and carrier guidance systems were started. New buildings were also added besides setting up of an astro turf.The narration can go on, but i would like ot sum up saying that in none of these ventures, even a single paisa of the jawan's money or private funds was used. 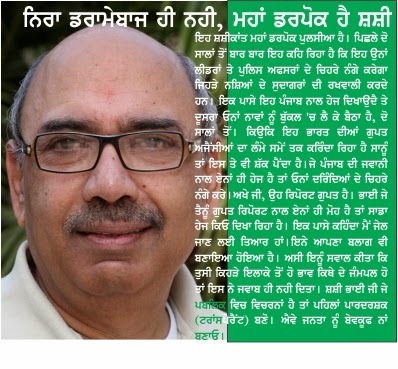 These works were got executed with the help of the governments, Jalandhar Improvement Trust and various N.G.Os. The Punjab prisons were in a total mess when I took over around Nov. 2011. There were serious security problems, drug addiction and smuggling thereof. The factories were not working. There were possible cases of HIV+ and AIDS as also sexual abuse. I took up the task of total revamping of prison management and policy system after studying the behavioral and related aspects of prisoners and then brought about suitable structural reforms required for their reforms as also rehabilitation even after the release from prisons. I took up the cause of drug addiction within the prisons as also outside with all my vigor which did create ripples in the society. Task of total cutting off the supply of drugs within the prisons was undertaken and drug de-addiction amongst inmates started with the help of the Punjab Health Department, NACO, UNODC and other organization with excellent and commendable results. 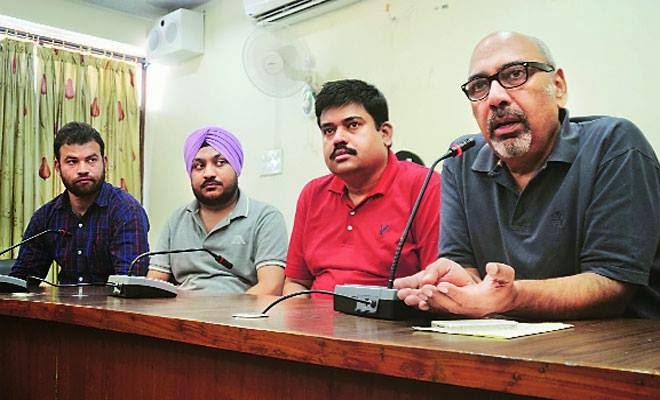 This task started from the Kapurthala prison house where riots had taken place in the month of Novenber following the death of an inmate, possibly because of the serious "withdrawl symptoms". Though the rioting and the attempt to break open the jail were contained well in time but the behavior of the inmates under the influence of psychotropic drugs looted from the 30 bedded prison hospital and the ten bedded de-addiction center located with in the prison, shook up my conscience. That was the time when i decided to take up the fight against the drugs, drug smugglers and to work for de-addiction, not only with in the prisons but even out side. Unfortunately it is the free avaiability of drugs in the open society which leads to addiction, to petty crimes like snatchings and thefts and robberies etc; and then to the prisons and attempts to smuggle the drugs into the jails. The state of affairs in the prisons on this count is alarming and i will write about it at lenth in my blog very soon. Now de-addiction centres are being opened in all eight central jails of Punjab and the issue of drug abuse has caught public awareness. Raising of this issue also led to my recieving serious threats of life against me and my family and they have increased now after my retirement. this is because i had smashed the drug mafia in the jails and put all drug lords in the hight securty jails. About 125 drug smuggling inmates wre shifted to different jails and about 95 of the prison officials suspected of helping the smuggling activities were also reshuffled. I also informed the H'ble Punjab and Haryana Highcourt about all this so that my steps could not be negated after my retirement. I MAY DIE OR LIVE BUT MY FIGHT AGAINST THE DRUGS WILL CONTINUE TILL MY LAST BREATH. Prisons administration was started on co-operative basis with inmates managing their own kitchen, Co-operative stores, Health, Hygiene, Sports, Maintenance of places of worship inside the jails, Libraries and Gyms etc. Several vocational courses were also started. Games were given top most attention with the first ever jail Olympics being organized. Classes of Yoga, Art of living, Health Check-ups were also started with the help from NGOs etc.